Your grandma’s wallpaper or eccentric aunt’s sofa probably aren’t pieces you would expect to inspire today’s designers. Yet we should know by now that sometimes fashion can turn even the most unlikely, obscure references into something extraordinary. 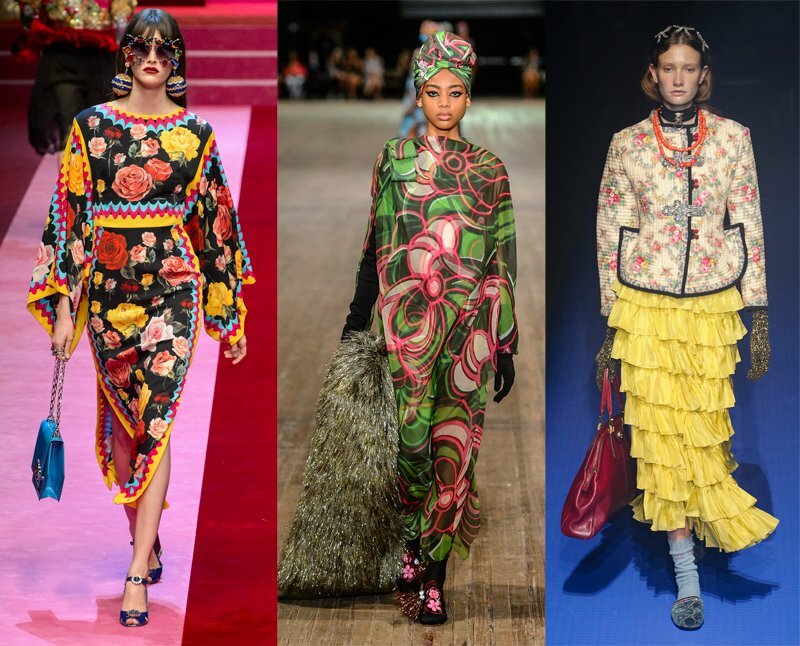 It seems that designers have been looking to the vintage-loving members of their own families given all the retro floral prints on the Spring 2018 runways. To paraphrase a certain famous fictional editor, florals for spring are hardly groundbreaking. The latest iteration feels fresh, however, even if there are clear 60s and 70s references. Compared to the subdued watercolor patterns, abstract designs and hypermodern flower patterns we’ve seen in recent seasons, a vintage-inspired look actually feels new. Dolce & Gabbana‘s dolce vita aesthetic saw roses on dark backgrounds combined with swirling geometric prints. Marc Jacobs sent models down the runway wearing psychedelic floral dresses and coordinating headscarves. Of course, Gucci was not to be left out of the throwback trend. 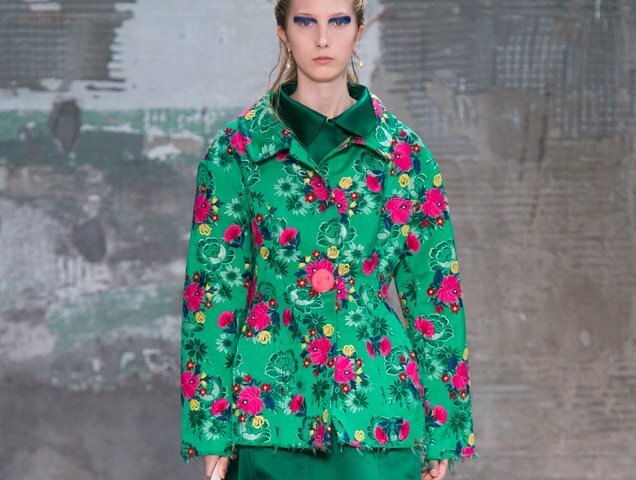 Retro florals were mixed with Alessandro Michele’s eccentric, maximalist mash-up. When it comes to picking a print, the key is to embrace the retro sentimentality, no matter how big, garish or curtain-like the print. In fact, just like grandpa shoes and ugly dresses, it’s a good thing to have a knee-jerk reaction to a retro flower pattern. If you could picture the bold floral as a cushion in an old-school living room, you’re on the right track. 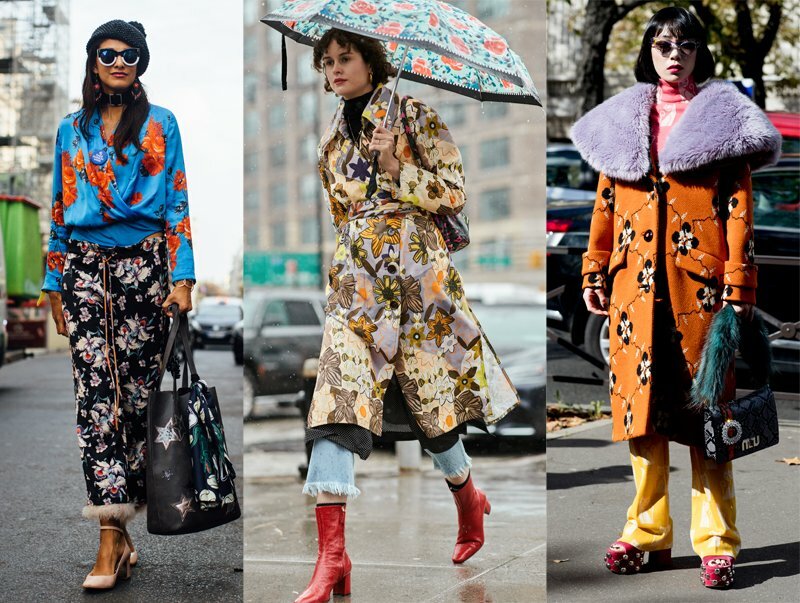 As for fitting loud, zany vintage flowers into your current wardrobe, take a cue from the eclectic, anything-goes Gucci aesthetic and pair the bold blooms with other loud patterns. Don a 60s floral print top with striped trousers and a polka dot headscarf. Or try layering a granny floral dress with a textured cardigan, patterned tights and a statement pair of shoes. Then pile on as many accessories as possible. Now that we’ve set the mood, click through the gallery to see the key pieces to embrace retro florals.